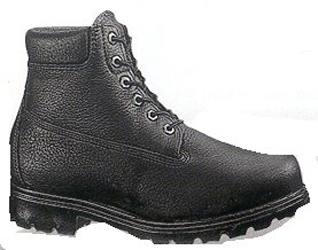 BOOT: WOLVERINE PERFORMANCE LEATHER UPPER OR WATERPROOF FULL GRAIN LEATHER UPPER. DIRECT ATTACH CONSTRUCTION. REMOVABLE FULL CUSHION FOOTBED. POLYURETHANE MIDSOLE. THERMAL FOAM INSULATION. FIBERGLASS SHANK.